When purchasing a Rolls-Royce or Bentley motor car, especially when potentially thinking of parting with hundreds of thousands of pounds for a particular car; it is important to gain a subjective opinion regarding the vehicle. Using our extensive knowledge of these motor cars, not only on a technical side but it is also important to be diligent about the provenance too and indeed proving a car to be the genuine article is a particular speciality of ours. Nobody knows more about Historic Rolls-Royce & Bentley Motorcars than the team at RR&B. 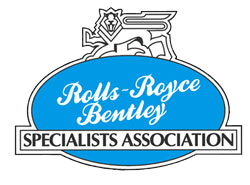 Our aim is to offer the full range of cars from the Rolls-Royce Silver Ghost, Bentleys 3 litre and through the classic period to the current Rolls-Royce Phantom and New Bentley Mulsanne and Continental GT models, but due to the variance in coach work and specifications in many cases we will still source the exacting cars that our clients may desire. This is to include the supply of new cars too. If you cannot find the car with the specification you require we will be pleased to assist in sourcing the right model for you. We know from experience that it is important for the client to own the right car, if you should find a car, we will be more than pleased to complete a pre purchase inspection for you. These take between four and five hours of inspection and a full written report is provided with recommendations to assist you in making the purchase decision. Our cost for the inspection start from £750.00 plus travelling expenses and VAT for the higher valued cars we have in the past travelled overseas as far as the USA and United Arab Emirates. We sell many cars without marketing them so we welcome your enquiry.